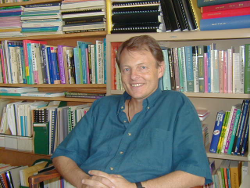 Michael Connelly is Professor Emeritus, Ontario Institute for Studies in Education. He was Director of the Canada Project, Second International Science Study, International; Association for the Evaluation of Student Achievement, and Director of the Hong Kong Institute of Education/OISE/UT doctoral program. He wrote policy papers for the Science Teachers Association of Ontario, the Ontario Teachers Federation, the Ontario Ministry of Education, the Government of Egypt, the Queensland Education Authority, UNICEF, the World Bank, and The League of Arab States. He co-drafted the terms of reference for the Egyptian Professional Academy of Teachers, and was UNICEF consultant to The League of Arab States on pan-Arab teacher education and curriculum development. With Shijing Xu he is co-director of the Social Sciences and Humanities Research Council of Canada project “Reciprocal learning in teacher education and school education between Canada and China”. Jonathan G. Bayley is a Professor of music education at the University of Windsor (Faculty of Education). He studied flute with Jeanne Baxtresser (principal flute New York Philharmonic), Francis Blaisdell (Stanford University), and Robert Aitken. He has premiered numerous works for flute and most recently commissioned and premiered (with organist David Palmer) a Sonata for Flute and Organ by the American composer Matt Doran. Two of his recordings, Music for Flute and Guitar and Between the Silence, have received international airplay. Dr. Bayley has written and published several arrangements and original compositions. He has also published numerous articles in various journals (The Register; Canadian Winds, Canadian Musical Educator, Journal of Historical Research in Music Education, and Update: Applications of Research in Music Education) as well as book chapters. In addition to his performance and scholarly pursuits, he taught at the secondary school level (Junior and senior high school) and was also a flute instructor at Alberta College Conservatory of Music for 15 years. Dr. Bayley has been the Director of the School of Music (University of Windsor), Associate Dean of Graduate Studies, Research, and Continuing Education, and the Acting Director of the Joint PhD Program (Faculty of Education). 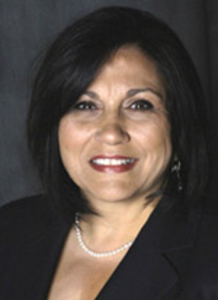 Her research focuses on educational theory, school reform , teacher development , and the ethics of education. In recent years, she mainly studied the inner route of development, the classroom teaching reform in the view of complex theory, and the school-based strategies of Chinese teacher’s development. Also, she has over 5 books and more than thirty articles . In recent years, she has presided over one subject, a philosophy and social subject in Shanghai, and it has been concluded. She also participates in 7 provincial key subjects, 3 of these are presided by she, and 1 of these is completed with she. On the achievements in scientific research, she has published over 30 academic papers, 290000 words in total. 17 of these papers are published in core journals such as Education research. The papers of CSSCI are 16. There are 7 papers reproduced by the data center of People’s university. In these, 4 papers are over 20000 words. I have published 3 independent monographs and 3 joint monographs, 800000 words in total. The Curriculum Exploratory was awarded the third prize in the third national education science outstanding works in 2007. The Cultivation of Class life and the public spirit was awarded the second prize in Philosophy social science of Shanghai in 2010. The Guidelines of the foreign language teaching reform with “the New Basic Education” was awarded the second prize in Education scientific research of Shanghai in 2010. The contemporary conversion of Chinese education’s creational foundation was granted as an excellent treatise in the ninth annual meeting of social science in Shanghai in 2011. Anthony Ezeife (BSc, MSc, MA, PhD), is the Institute of Education in Mathematics and Science Education University of Windsor professor. As an educator traveled multinational, Dr. Ezeife has coached in many countries around the world, and a lot of cross-cultural research. His main research focus is to make math and science in culture related to the surface and are meaningful for the learner, especially for students who have a background in terms of the local culture. To this end, he put a number of research targeted at Aboriginal Canada, the United States of America study of indigenous populations, and some other continents in different cultures at risk learners math / science learning. This includes Africa, parts of Asia, as well as students in western South America. His current research, mathematical models project architecture is based on Walpole Island, Canada, where he is working with the Anishinabe-speaking Aboriginal students, community educators, educators, and Aboriginal elders together to engage in scientific research. Dr. Ezeife’s rich publication record can be traced back to the 1980s. So far, he has been published in almost all the world’s continents top academic journals a lot of articles, as well as quite a few frequently cited the award-winning research papers. Jim Hewitt is an Associate Professor in the Department of Curriculum, Teaching and Learning at the Ontario Institute for Studies in Education, University of Toronto. 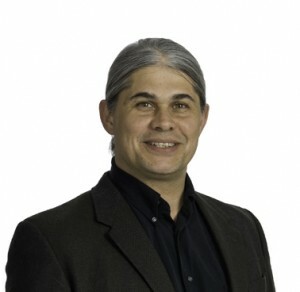 His research focuses on the educational applications of computer-based technologies, with a particular emphasis on discursive processes in collaborative learning environments. Dr. Hewitt’s publications include studies of thread development in asynchronous distance education courses, sociocultural supports for knowledge building in elementary science classrooms, and uses of multimedia and online technologies for teacher development. 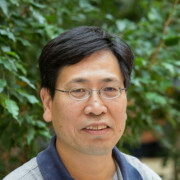 His research suggests that traditional threaded computer conferencing software lacks critical supports for knowledge building and promotes diverging, add-on style discourse rather than the more sophisticated operations (such as synthesis and superordination) required for sustained, progressive knowledge work. 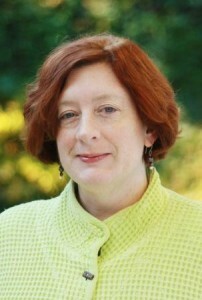 Recently, Dr. Hewitt designed and developed an open source web-based environment called Pepper. In Pepper, students work together in a learning community to study challenging problems, identify important ideas, and progressively work to improve those ideas. Through these and other research endeavors, Dr. Hewitt hopes to discover new ways to help students work together creatively to build knowledge. Gila Hanna’s primary research interests are the role of proof and truth in mathematics and mathematics education, measurement and evaluation, and gender issues in mathematics teaching and learning. She has been Convenor of the International Organisation of Women and Mathematics Education (1988-1992), Vice-Chair of the Canadian Mathematics Education Study Group, Member of the the International Committee of the international group for the Psychology of Mathematics Education (PME), and has served on several Social Sciences and Humanities Research Council of Canada (SSHRC) adjudication committees. She was Co-Editor of the international journal Educational Studies in Mathematics and is now one of its Advisory Editors. From 2000 to 2007 she was Co-Founder and Co-Editor of the Canadian Journal of Science, Mathematics and Technology Education. 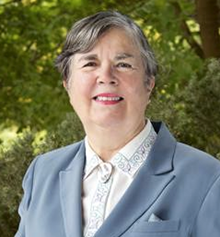 She has published extensively on proof and other aspects of mathematics education, and has delivered lectures at several universities as well as at numerous international conferences on mathematics education. In 2003 she was appointed “Fields Institute Fellow”. 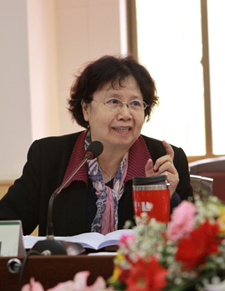 Ye Lan has been a leading professor in East China Normal University (ECNU) for four decades, and currently serves as the honorary director of the Institute of Schooling Reform and Development (ISRD) in ECNU. She’s the founder of ISRD and Center on New Basic Education (CNBE). 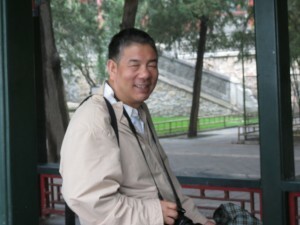 Professor Ye has originated New Basic Education (NBE) and Life•Practice pedagogy. My research concerns issues of political identity and how identities and political beliefs change over time. In relation to this project, I am interested in the different ways in which students learn about their complex and multiple identities as citizens. I am mainly engaged in chemical education, the environment and the sustainable development education and science education. I have published more than 20 papers, 6 monographs; several of them are given a prize. I, as a master tutor, have been guiding 36 masters of pedagogy, 23 masters of education since 2000. 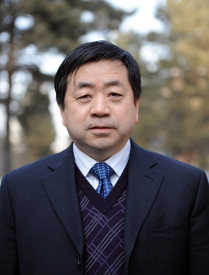 Luxin Yang is a Professor in the National Research Center for Foreign Language Education at Beijing Foreign Studies University. 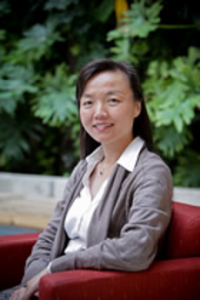 She holds a Ph.D. in Second Language Education from the Ontario Institute for Studies in Education of the University of Toronto. Her research interests include foreign language teacher education, second language writing, and academic literacy development. 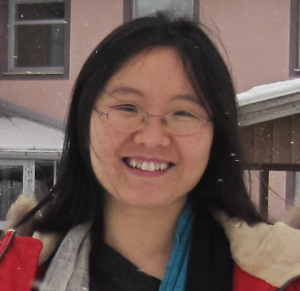 Over the past five years, she devotes herself to English as a Foreign Language (EFL) education at school level in China, especially in-service EFL teachers’ professional development. 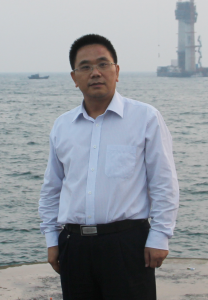 Dr. Zuochen Zhang is Associate Professor with Faculty of Education, University of Windsor, Canada. He has taught Learning with Technologies courses for the Teacher Education program, and Information and Communication Technologies (ICT) for Teaching and Learning, and Educational Research to students in the Master of Education program. 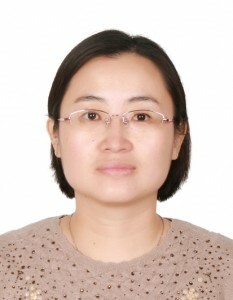 Dr. Zhang’s research interests include ICT integration into school curriculum, e-learning, Teaching English as a Second Language (TESL)/Teaching English as a Foreign Language (TEFL), and international education. My research has been focused on science education and educational technology. Student preconceptions and conceptual change in science, inquiry-based science teaching and learning, technology integration with science instruction, argumentation and multiculturalism in science education, are some of the topics my research and publications have covered. In regards to technology, my research investigates how to facilitate pre- and in-service teachers develop technology-related pedagogical content knowledge so that they can teach science with technology. Faculty adoption of technology is also within my research scope. Given the significance of the culture factor for education, I have expanded my research into international and comparative education. I have finished a number of projects researching international students on Canadian university campuses, Chinese immigrant parents’ involvement in their children’s education, comparative studies of the use of science textbooks by Canadian and Chinese school teachers, comparative studies of technology integration with Canadian and Chinese teacher education programs, etc. With a post-colonial theoretical framework, I examine the goal of science education, the ways of teaching science to English Language Learners, and the preparation of teacher candidates for cultural diversity. Mark is Sr. Lecturer in the Department of Curriculum, Teaching and Learning. He has served as Associate Dean, Teacher Education (2006, 2008-2011), Director of the Secondary Teacher Education Program (2001-2005), Principal of the History and Contemporary Studies Additional Qualifications Program (1994-1998) and is affiliated with the Comparative and International Development Education Centre. He has been involved in a variety of curriculum initiatives, teacher education projects, and research studies with teachers and schools locally and internationally. His work focuses primarily on teacher education, pedagogical perspectives and practices, and citizenship and social studies education in their many representations in schooling contexts, from the local to the global. Interwoven into his work are particular themes and issues related to curriculum design, equity and inclusion, assessment and evaluation, and professional learning. Mark’s work endeavors to address the complex interplay of research, policy, practice, and context and to bring about improved learning experiences for educators and students. He is particularly interested in looking at how other countries are approaching similar questions and challenges as Canada. Mark has taught a variety of courses (e.g., Foundations of Curriculum; Improving Teaching; Models of Teaching; History & Social Science Education; Citizenship, Pedagogy, and School Communities; Issues in International and Global Education; Teacher Education Seminar) in the Initial Teacher, Graduate, and Continuing Education Programs. In addition, he introduced and coordinated the Alternate III Program ‘School, Community, and Global Connections’ (1997-2000). Mark is the recipient of the University of Toronto Teaching Award, the OISE Professor of the Year Award, and different awards for teaching excellence. 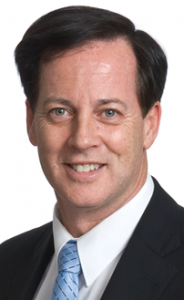 He has served on a variety of administrative, advisory and editorial committees and boards and is a reviewer for different journals and curriculum and program reform initiatives (e.g., Ontario Education Minister’s Curriculum Council; UNESCO’s Global Citizenship Education Experts’ Advisory Group; International Journal of Citizenship Teaching and Learning Editorial Committee; the Journal of Canadian and International Education Editorial Committee). Grace Feuerverger is Professor in the Department of Curriculum, Teaching and Learning at the Ontario Institute for Studies in Education, University of Toronto. She grew up in a multicultural and multilingual home in Montreal and brings her personal and professional experiences to bear on her teaching and research work focusing on theoretical and practical issues of cultural and linguistic diversity as well as on conflict resolution and peacemaking in international educational settings. She was educated at a variety of institutions – McGill University, the Università per Stranieri in Perugia, Italy, the University of California at Berkeley, the University of Alberta, the Hebrew University in Jerusalem, and the University of Toronto. Professor Feuerverger teaches graduate courses such as “Multicultural Perspectives in Teacher Education: A Reflective Seminar;” “Language, Culture, and Identity: Using the Literary Text in Teacher Development;” “Children’s Literature within a Multicultural Context.” Her award-winning book “Oasis of Dreams: Teaching and Learning Peace in a Jewish-Palestinian Village in Israel” (New York, London: Routledge/Falmer, 2001) is based on a nine-year study that she carried out in an extraordinary village and it is about hope in the midst of deadly conflict. This book is a reflexive ethnography focusing on the two bilingual, bicultural educational institutions in this place of peaceful coexistence — an elementary school where Jewish and Arab children study together, and the “School for Peace” which is a conflict resolution outreach program for Israeli and Palestinian adolescents and their teachers. In this spiritually uplifting book, Feuerverger shares narrative portraits of some remarkable individuals and invites us to become fellow dreamers of peace. Her recent book “Teaching, Learning and Other Miracles” (Rotterdam: SensePublishers, 2007) explores teaching and learning in schools as a sacred life journey, a quest toward liberation. A child of Holocaust survivors, Feuerverger wrote this book to tell how schools can be transformed into magical places where miracles happen. She explores teaching and learning in schools as a sacred life journey, a quest toward liberation and focuses on multicultural literacy development as a pedagogical pathway toward agency, dignity and hope for vulnerable children suffering from the trauma of war and other oppressions. In an era of narrow agendas of ‘efficiency’ and ‘control,’ this book dares to suggest that education is and should always be about uplifting the human spirit. 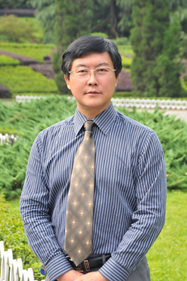 Professor Kun Qu is the vice chairman of Chongqing Educational Association Professional Committee of Audio-Visual Education, director of National Computer Aided Education (CBE) Association, a panel member of Center of Information Management IT teaching demonstration projects of Ministry of Education, and a member of the overall design of the teachers working group of National Education Network Alliance platform. Professor Kun Qu presided over the following research projects: Ministry of Education universities special basic operating expenses (key project in liberal arts): A study of teachers tacit knowledge sharing model based on social software in 2009; Ministry of Education teacher education innovation platform specific sub-topics: A Study of Teacher Candidates Educational Technology Innovation Ability Construction and Practice Mode in 2010; Chongqing university reform project (key research project): An practical exploration of teacher candidates educational technology ability training mode of in 2010; Ministry of Education teacher education innovation platform specific sub-topics: “Educational technology ability training” Key Curriculum construction in 2011. So far, Kun Qu has been granted Chongqing Municipal Science and Technology Progress Award; Chongqing Municipal Higher Education Achievement award; First Southwest Normal University undergraduate teaching outstanding teachers award; Southwest Normal University sixth young talent award; nationwide multimedia teaching software design contest award; Chongqing audio-visual achievement award. My research interests primarily focus on two lines of inquiry: research leading to a better understanding what mathematics knowledge for teaching is needed for secondary school teachers (especially in analyzing student mathematical errors), and examining the commonalities and differences that are valued in mathematics teaching and learning in different educational cultural contexts.